Home | Testing Blog | What Is Satellite Testing? Most people probably never think about how many times a day satellites affect their lives. After all, satellites are up there, and we are down here — out of sight, out of mind. But every time a driver turns on their GPS to help them find that little store a friend told them about, a family in a rural part of the United States turns on their satellite TV receiver to watch a football game from a stadium on the other side of the country or a weather forecaster warns people there’s a deadly hurricane approaching and it’s time to evacuate, satellites — and the information they provide — are an essential part of their lives. Currently, there are almost 1,500 active satellites in orbit around our planet. We rely so much on satellites for so many things in our lives, and we count on them to be durable and reliable. When satellites don’t work properly, it can severely impact our lives. That’s why it’s so necessary to test each satellite properly before it gets launched into space. A satellite’s working life is not easy. First, it must survive the extreme vibrations and acoustic levels of the launch. Then, as it quietly circles the earth doing its job, it has to operate in very harsh conditions. It must function in an almost complete vacuum, while handling high levels of electro-radiation and fluctuation in temperatures that range from the hottest to the coldest. It’s also vital to test satellites properly because they are so expensive. Governments or private companies that spend millions or even billions of dollars a year on satellite technology need to know their investments will not evaporate because the satellite failed during or following launch. When Is Satellite Testing Necessary? It’s required to test every satellite before it goes into orbit. Testing must begin at the initial phase of construction with each component. As these parts get assembled into larger pieces, they must undergo additional tests. Finally, once the final phases of satellite construction conclude, the entire unit needs to undergo rigorous testing. 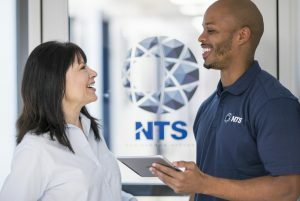 Companies like NTS maintain a network of facilities across the United States to conduct the necessary tests, including building gigantic climate chambers to analyze how a satellite responds to the vacuum of space or to extreme changes in temperature. Other centers may conduct tests for vibration, solar radiation, dealing with the dust of space or with pyroshock, which might occur during the booster separation stage or the satellite separation stage from explosive bolts. The explosive shock of booster seperation can damage circuits, dislodge contaminants in the satellite or short-circuit electrical components. Currently, NASA and some other private companies are exploring the idea of building smaller vehicles that could be capable of repairing satellites. Other ideas include assembling satellites in space. However, for now, once satellites are in orbit, they’re normally beyond the reach of repair. That is why companies that design and test satellites must consider every contingency, and examine everything that can possibly go wrong multiple times. Even if part of the satellite fails after launch, that does not mean the entire unit will get abandoned. If other components that are providing critical information are still operational, the satellite will remain in use until it has reached the end of its lifecycle. Sometimes, however, no matter how much we test, there can still be problems. For example, the Orbiting Carbon Observatory satellite was supposed to help scientists measure how carbon dioxide was affecting climate change. But when the case containing the satellite failed to separate from the rocket during launch in 2009, both the case and the satellite crashed into the ocean 17 minutes later, leading to the loss of not only millions of dollars, but also crucial information on a subject that is vital to all life on earth. That example illustrates why there is no room for error when testing a satellite. What Industries Need Satellite Testing? Building a good satellite is not cheap. For instance, a typical weather satellite that provides information to forecasters across the country can cost as much as $290 million. While the high cost of satellites and advances in miniaturization have led companies to develop smaller satellites for low and medium orbit, larger satellites should last at least 15 years before they need replacing. For many years, the government was the primary industry interested in the construction and testing of satellites. These days, however, large and small private companies are increasingly investing in satellites. Commercial concerns have a greater hand in the construction of satellites for television and radio signals, telecommunications and military applications. Whether the satellite is for the government, the military or private industry, the need for rigorous testing remains the same. If a private company is going to build satellites for the government or a commercial concern, they won’t retain that business for very long if the satellites they build don’t operate appropriately after launching into orbit — all of which means anyone involved in the satellite industry, the government or private, needs satellite testing. How Do Satellite Tests Work? Satellite testing presents unique challenges. Unlike testing in the automobile industry or the appliance industry, you don’t get to test a prototype before constructing the final version. When you test a satellite, you are often testing the one that will eventually go into orbit. Therefore, while the tests need to be meticulous, the testing itself cannot damage the satellite in any way. The satellite’s assembly team is the first group to test it. Next, a quality control team must conduct a separate series of tests before declaring the satellite ready for flight. The teams often repeat many of these tests to gather enough data to decide whether or not the satellite is ready to go into orbit. When the satellite arrives at the testing facility after its construction, it must get unpacked in a clean room. Indeed, many of the satellite tests must also take place in a clean-room environment. While it may be amusing to see scientists and engineers walking around in white “bunny suits,” they play an essential role in the testing process. That’s because it only takes one tiny outside contaminant to have a drastic effect on a satellite. Here is a real-life example of a satellite test: The National Oceans and Atmospheric Administration tested its Geostationary Operational Environmental Satellite-S (GOES-S) in March 2017, ahead of its launch a year later under the new name of GOES-17. As part of that testing, the team placed GOES-S in a thermal vacuum chamber to determine its ability to operate in the extreme cold of space. The vacuum chamber tested the satellite across four different cycles that ranged from intense cold to intense heat. Severe temperature fluctuations in the airless vacuum chamber gave scientists a chance to check how the satellite’s sensitive instruments performed in these harsh conditions. Satellites also need to get tested for shielding against external radio signals. The testing team must ensure the satellite’s antennas unfold properly and are compatible with the satellite’s other systems, as well. Additional tests will include measurements to learn each satellite’s exact center of gravity and mass, which will ensure the satellite is compatible with its launch vehicle. It also helps control the orientation when the satellites are in orbit, which can lengthen how long they will operate in space. Scientists will need to test satellite thrusters, too, which will help orient its orbit after its launch vehicle releases it. In other facilities, such as the NTS satellite testing facility in Santa Clarita, Calif., satellites get tested in a 5,000-cubic-foot acoustic chamber to learn about how the satellite reacts to heavy vibration, as well as the deafening noise of a launch. Because these tests are so rigorous — and costly to carry out — they are among the most crucial checks to conduct. The facilities needed to test satellites adequately can be enormous. For instance, the Santa Clarita facilities cover more than 150 acres. A crucial part of all this testing is the recording of data that will later get analyzed to find and repair any problems with the satellite before launch. After all, as mentioned earlier, it’s usually impossible to fix the satellite once it is in orbit. How Does Vibration Testing Come Into Play? Since satellites cost so much to build, vibration tests have become not only vital, but also highly monitored. It’s common for the testing team to gather hundreds of data points from the vibration test, which allow them to scrutinize every inch of the satellite and locate any possible weak points. A key satellite test procedure in qualifying a satellite for launch is swept sine testing — a variety of vibration test that uses a single frequency to test a specific structure within the satellite. During a swept sine test, the sine tone ranges up and down through various frequencies, and always for a specified rate of vibration and duration. In situations where a controller system for vibration does not include a channel count that is high enough for a specific test, or that require the use of an independent analysis system, it is possible to use a dynamic signal analyzer. This analyzer provides software that allows the testing team to measure multiple channels of sine data simultaneously. Recording all this data is one of the most essential parts of satellite testing, as we mentioned above. Scientists can monitor and collect all the various channels of sine data at once when a satellite is undergoing vibration testing. This data will provide the satellite testing team with clues about the construction of the satellite and whether there are any weak spots that pose a potential problem during launch. Since scientists carry out all these vibration tests on the real satellite, however, it is crucial not to over-test. A critical part of the test is also to apply limited channels during the testing. These channels have a maximum allowable vibration level that gets assigned to certain structures within the satellite. If the testing reaches these levels, the team must reduce the test vibrations. Being able to accurately locate weak spots during vibration testing ensures a longer life for the satellite once it is in orbit — which is why there is no room for error. If the vibration testing misses a troublesome location on the satellite, and the satellite then gets damaged by the extreme shaking and violence of the launch itself, it could greatly shorten the life of the satellite and result in the loss of millions of dollars. NTS offers more than 50 years of experience for a wide range of engineering services, including satellite testing. We are a privately held inspection, testing and certification company. We provide state-of-the-art testing and are constantly expanding our network of fully accredited laboratories and certification houses. We offer many locations across the country, which means our testing facilities are easily accessible. 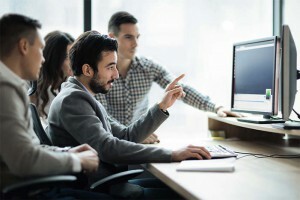 We work hand-in-hand with your engineering team and stay connected during your entire project. Our talented team of engineers and technical specialists are relentless when it comes to solving your problems. They take complex information, simplify it and use it to create timely and accurate results you need to get your satellite ready for launch. If you’re interested in talking to us about testing satellites, call us at 800-270-2516, visit our contact us page or request a quote. A member of our team will get back to you as soon as possible. You can also use our “Ask An Expert” feature, where someone from our skilled team of engineers will help you find the solution you need.